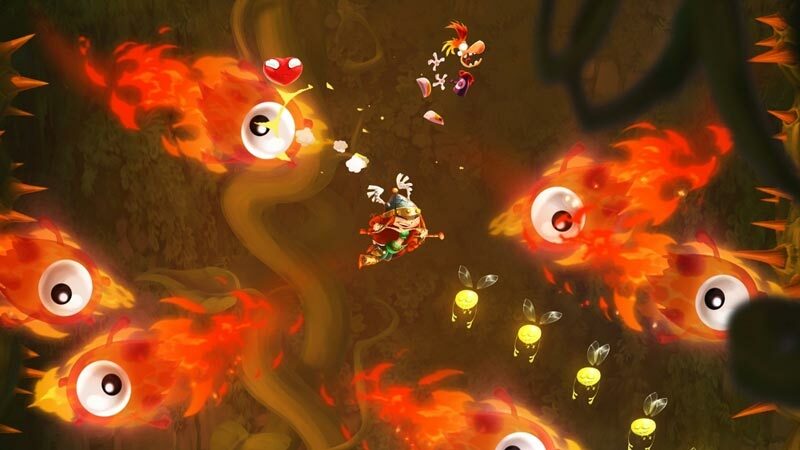 Rayman Legends’ unique, quirky tune introduces new steps into an old dance. Although the absurd nature of the game might be a hurdle to some, Ubisoft crafted it with enough skill and confidence to tie together all the disparate strands into a cohesive, enjoyable whole. 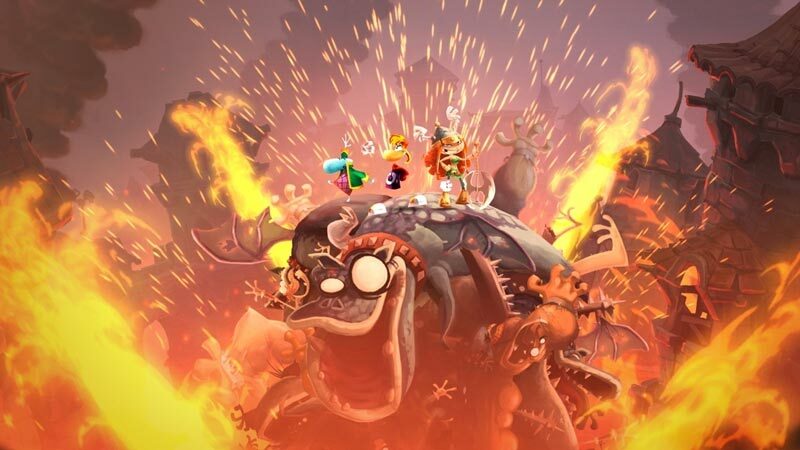 A lot of care went into making Rayman Legends, and the refreshing result of that care is a platformer that can proudly stand beside the genre’s greats. Rayman Legends is easily one of the most feature-rich platformers you'll likely see, rife with accessibility and challenge in equal measure. By a few hours in, you'll have exhausted every synonym you know for "pretty." A few stages after that, "fun." And by the end, just one word will accurately describe the whole experience: "fantastic." If you end up taking on the adventure solo, you're still going to have an absolutely fantastic time, and instead of laughing at your friends' misfortunes, you'll be laughing at your own. If you've ever gleaned enjoyment from a platformer in your life, there's simply no reason to pass up Rayman Legends. Should you own a Wii U you'll be treated to the original, if occasionally frustrating experience, though the game will make you smile no matter what system you call home. 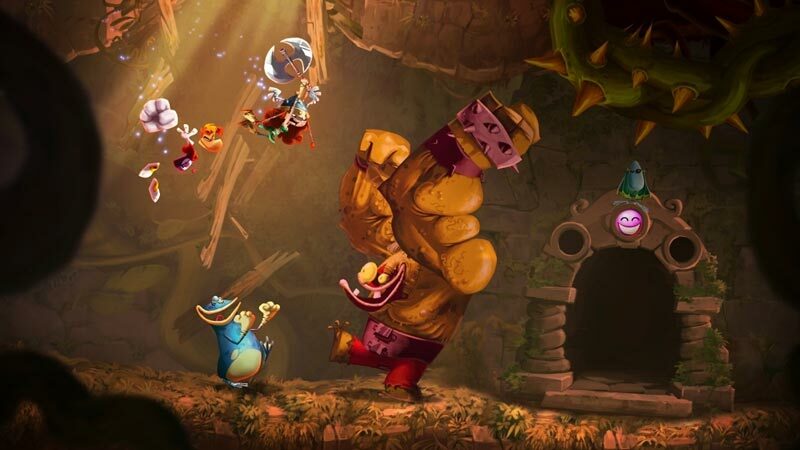 Rayman Legends winds up with a fistful of content and scores a knock-out blow with its impressive visuals, infectious audio, and exceptional controls. Some of the Wii U features may struggle to translate, but this game still more than lives up to its name, and is destined for a place among the platforming elite. Chaotic with friends and addictive alone, this will leave you intoxicated by its charm, and with so much to do, it won't outstay its welcome anytime soon. 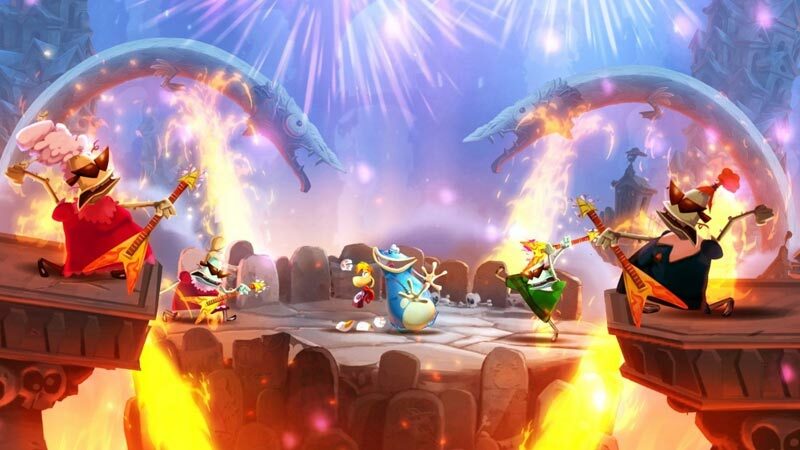 Rayman Legends isn’t just good, it’s utterly terrific on practically every level. That such a title was once confined to Nintendo’s sickly hardware seems abhorrent, although it’s the sort of rare game that would sell a console. An exquisite offering, it exudes polish and should appeal to everything sentient within 50 yards of the TV. Rayman Legends es, en definitiva, un título imprescindible para cualquier fan de los juegos de plataformas. Es divertido a rabiar, ofrece horas y horas de contenido, rebosa carisma por los cuatro costados y sería un pecado no calificar como preciosa su presentación audiovisual. Es justo aplaudir, además, la fe que ha tenido Ubisoft en Michel Ancel: Rayman Origins nació como un experimento episódico y descargable . A l'image de la réalisation, à la fois semblable et radicalement altérée, cette suite ne dévie que très marginalement du gameplay originel, pour se concentrer sur un contenu d'une densité surprenante. Dizaine d'environnements, centaine de niveaux, milliers voire millions d'objets à ramasser, Rayman Legends se chargera d'occuper vos dernières soirées d'été, à condition que vous alliez au delà des 10 heures de jeu nécessaires à torcher la plupart des tableaux. Em termos técnicos, Rayman Legends é notável, sem que se detecte o mínimo abrandamento ou quebra de frame rate. Altamente fluido e abundante em cores, é uma fonte inesgotável de surpresas. Quando pensávamos que já tínhamos visto tudo o que havia para ver, surge mais um nível, mais uma boss fight que nos deixa a contemplar os detalhes da cena e os seus riquíssimos efeitos visuais. 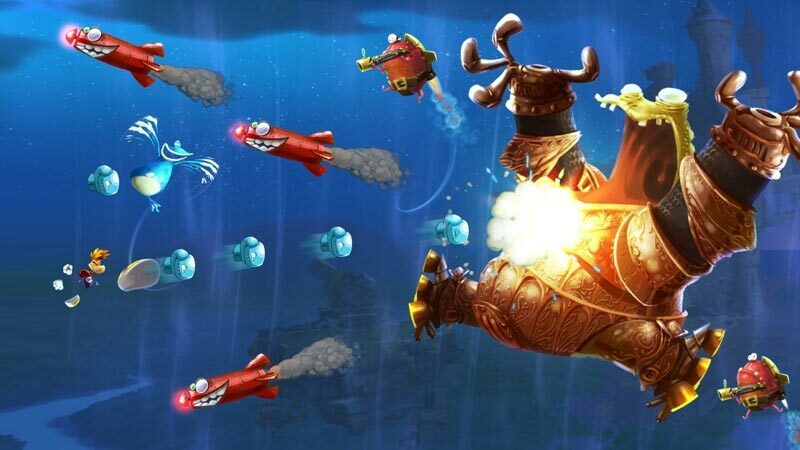 É verdade que Rayman Legends não reinventa as mecânicas típicas dos jogos de plataformas. 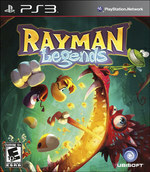 Dat Rayman Legends niet meer exclusief is voor de Wii U, is zuur voor Nintendo. Maar voor de gamer heeft het goed uitgepakt: je mag deze titel simpelweg niet missen, en dat hoeft nu ook niet meer. Dat het grillige ontwikkeltraject af en toe is terug te zien, doet slechts een klein beetje afbreuk aan een game die verder van begin tot eind een waar genot is om te spelen. Zeker met vrienden.